Under the Water | Just Shooting Memories! I was walking through the creek the other day and saw this leaf. 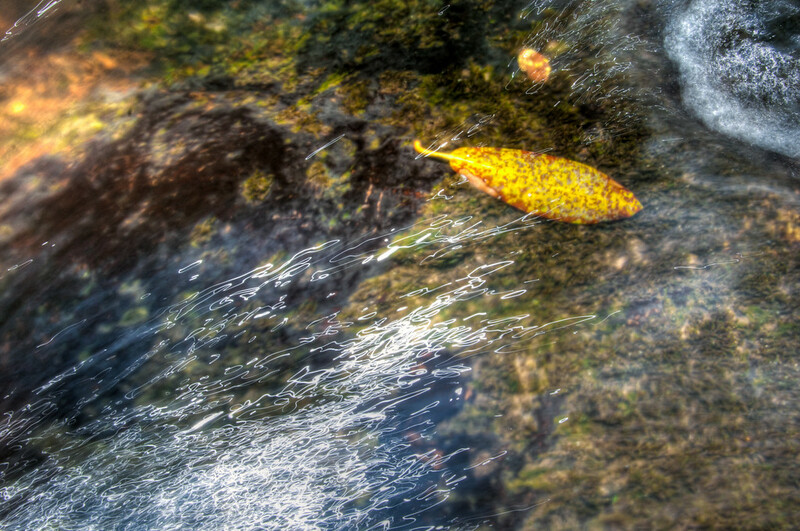 The interesting thing about the leaf is that it was at the top of a small set of rapids. This leaf was sucked down to the bottom and was not moving at all. I set the shutter just long enough to get some cool water movement and light reflections.